LUXURY BEACHSIDE MONTHLY VACATION RENTAL AVAILABLE. Full Gulf view and walk out to beach from this ground floor Gulfside condo with large split floor plan, interior dressing rooms and en-suite bathrooms. New granite counters in bathrooms, flat screen TV, internet, nicely furnished. New washer/dryer in unit. Spacious 2-bedroom, 2-bath condo with two master suites in a split floorplan. King in mster and twins in guest. Free WiFi Internet access. Flat screen cable TV. Enjoy breathtaking sunsets from two screened lanais with walk-out to pool and Gulf. Two swimming pools, tennis courts, orange grove, party room, cabanas. Well managed community with restaurants and shopping nearby. It's an ideal location for those who love the outdoors! You'll find tasteful luxury and quiet pleasures will welcome you to this very plush island location. Whether you enjoy water sports, rollerblading, fishing, biking, tennis or golf, you are sure to find the perfect outdoor activity. Tennis and golf are offered by first-class country clubs. A ten mile bike path that winds along the beautiful and scenic Gulf of Mexico Drive is a must for bike riders or rollerbladers! Longboat Key boasts two championship golf courses and you'll find dozens more in nearby Sarasota or Bradenton. If you enjoy shopping, you will love visiting Sarasota and St. Armands Circle. 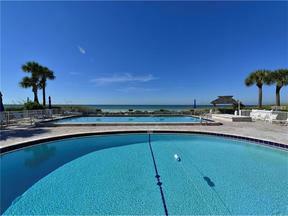 Longboat Key vacation rentals provide you with more than enough to keep busy in this tropical island paradise!